That's how we feel about the weather we've had during our stay here in Morgantown. I was a little intimidated by the never ending landscape of bare trees surrounding us. Chris explained that the fall color had come and gone quickly last month, so I was prepared for winter weather. Instead, we've enjoyed beautiful sunny skies, with today being the best day of all. 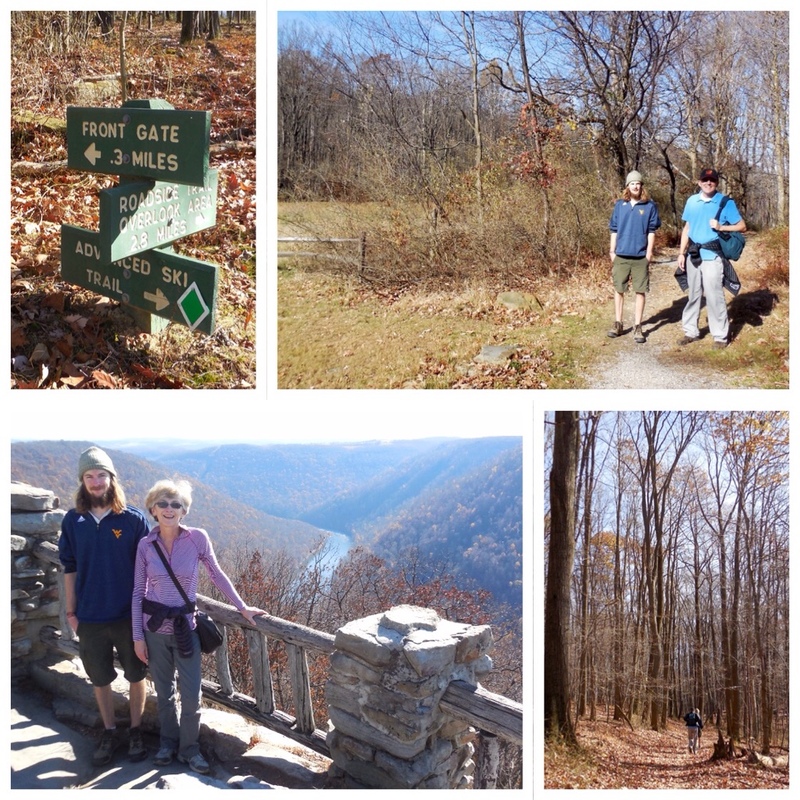 Monday Chris took us to Coopers Rock State Park where we hiked out to an amazing spot overlooking the Cheat River below. 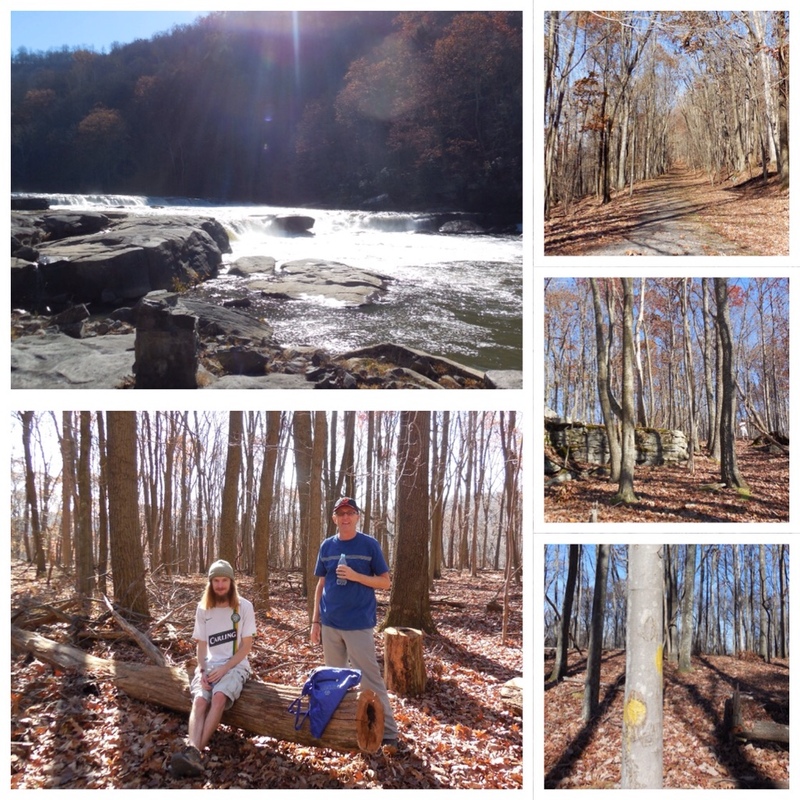 We visited Valley Falls State Park, located along the Tygart River. Yellow dots on the trees led us on a hike up to an outcropping of rocks, then back down to the river. Our stay in West Virginia has been great, but the weather forecast is promising that the Polar Express is on the way. Bitter cold is expected within a few days, so it's time to say goodbye to the kids and head home to our milder climate. What a super trip ! Chris is “settled” in West Virginia, for now? Nice destination for you and Reg! Beautiful! Glad you had such a nice visit with Chris. Thanks Cathy and Greg. We did have a really nice visit. It’s tough when the kids are so far away isn’t it?